Photo by Christian Guthier. Used through a Creative Commons license. It’s that time of year when summer squashes become almost perverse in the profligacy of their fruit production. 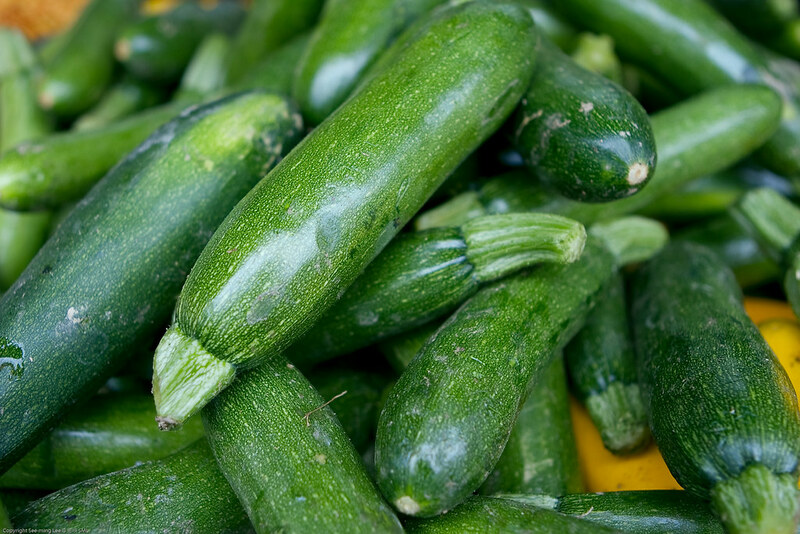 Those who are usually glad to benefit from summer’s bounty mysteriously disappear when they see a gardening neighbor come down the walk with a box full of zucchini. Farmers can barely give the things away – really. Each week when we go to pick up our subscription box of produce from a local farm, the pile of ripe zucchini labeled “take as many as you want” goes almost untouched. It’s such a change from early summer, when the first squash is treated like a rare prize. Brushed with oil and grilled or sautéed, the flavor feels fresh and magical, encapsulating all the vivacity of summer. Less than a month later, something happens. The flavor seems full and insipid. Did the zucchini change, or did my tastebuds? No matter. I’d be happy not to see one for another year. And yet – I hate to see good produce go to waste. Then I remember: Hidden in baked goods, summer squash isn’t so bad. In fact, it becomes rather delightful. Its bland taste means you can put lots of it in a recipe without making the pastries taste like salad. And its high water content results in cakes, breads muffins and brownies that are delightfully moist. So, on a rare day when the weather cools enough to make using the oven thinkable, I gather as much zucchini as I can find and bake. Other zucchini muffin recipes call for the vegetable in moderation. Not this one. 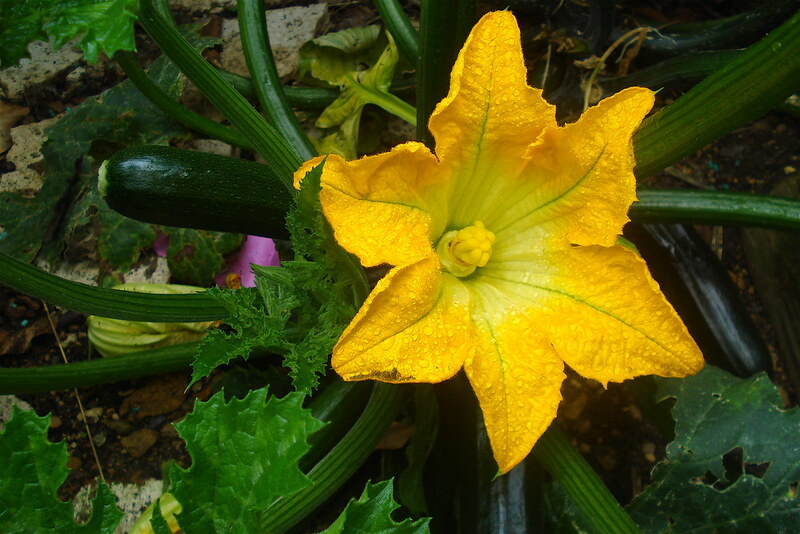 Here, I use squash as extravagantly as the plant grows this time of year. Squash replaces the liquids, eggs, and part of the flour that would usually be found in a muffin recipe. Each muffin gives you more than a quarter cup of vegetables. Not a bad way to make a dent in your five a day. Photo by Ting Chen. Used through a Creative Commons license. In a blender, puree the applesauce with 1½ cups of the zucchini, the flax seed, and the oil until smooth. In a bowl, mix the flour, salt, baking soda, baking powder, spices, and xylitol or sugar. Add the remainder of the zucchini (1½ cups grated zucchini) to the flour mixture and mix until well blended. Mix the chocolate chips into the flour mixture. Pour the blender mixture into the flour mixture and stir until just blended. Bake 25 minutes in a 375°F oven. Muffins are ready when inserted toothpick comes out clean. 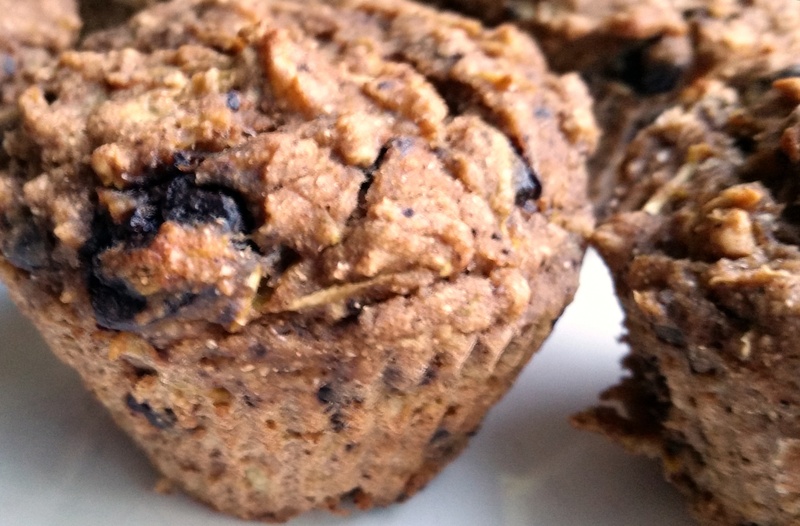 A lovely twist on the carrot & banana muffins you got me addicted to a few weeks ago! Thanks! 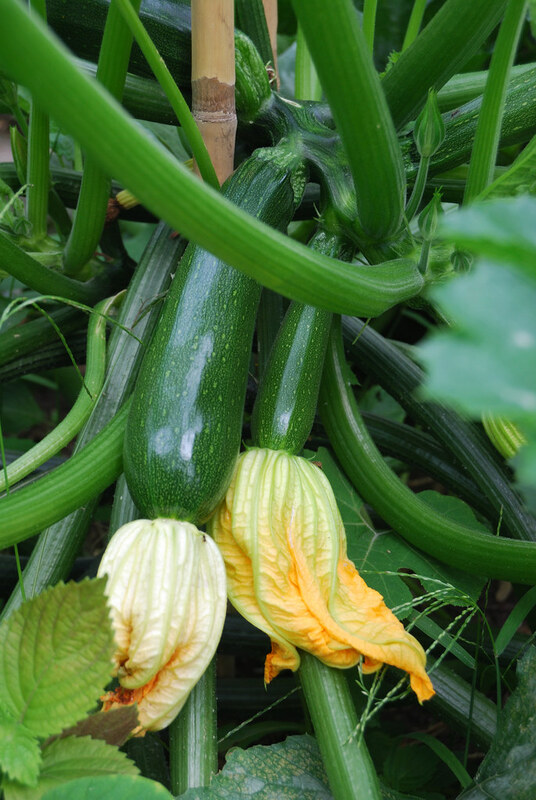 We got more squash in our farm box this week, so there will be even more zucchini muffins on the way, haha.